Rubin Talewsky opened up his Somerville junkyard in 1905. The auto salvage facility has stayed in the family ever since, proudly serving Somerville, Cambridge, Medford, Malden, Everett, Chelsea, and many other Boston-area communities. Joseph Talewsky and Sons Inc., otherwise known as J&A Auto Parts, is now on it’s fourth generation, and is as passionate as ever about serving Massachusetts with the highest quality used auto part services. In response to increased environmental awareness, J&A Used Auto Parts has become an industry leader in ecologically friendly processes. We recycle gas from scrap autos in our trucks, and used motor oil to heat our premises. We are constantly looking for ways to improve our service to the community and reduce our environmental impact. 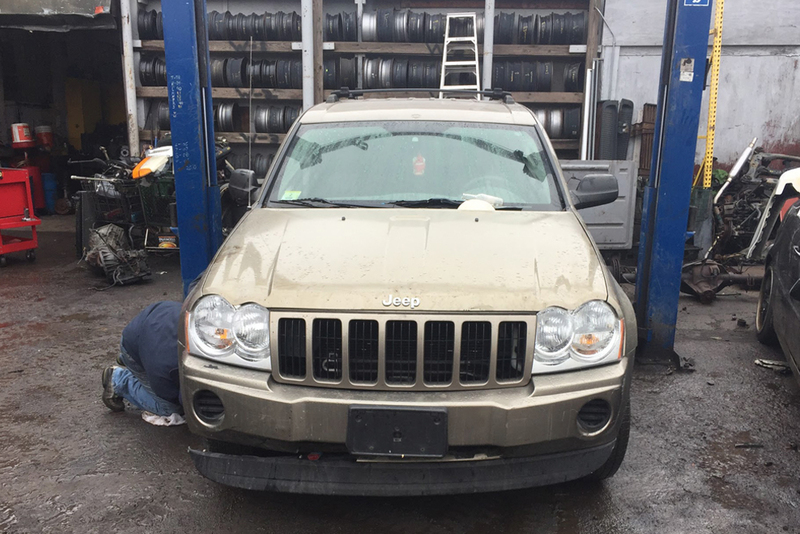 As one of Boston’s last remaining inner-city junkyards, J&A Used Auto Parts is proud to offer a wide variety of automotive services at a reasonable price, and in a convenient location, just off of Route 93 in Somerville, MA, minutes from Medford, Cambridge, and Boston. As always, we are committed to providing the highest quality customer service available in the used auto industry. Now they are referred to as “auto recyclers.” Even though the business reference has changed over the years, Allen still maintains the original focus: service…Service…SERVICE. J & A Auto Parts’ inventory is all computerized using the latest state-of-the-art systems. If we don’t have a part instantly available, our Eden connection immediately tells us where the part can be found. This extensive system covers all yards in the United States! Delivery is quick and you’ll have the part in no time. Keeping up with the environmental requirements hasn’t been easy, but J & A’s is proud to say that we are totally compliant with the mercury recovery regulations. As a member of the Automotive Recyclers of Massachusetts, J & A’s meets or exceeds all of their requirements as well. An extension of the Auto business is the recycling of metals…Copper, brass, etc. J & A’s pays the best prices in the area…call today for a quote! Allen is always on the lookout for a good value in a “pre-owned” car for his customers. Check with him on the latest value special.